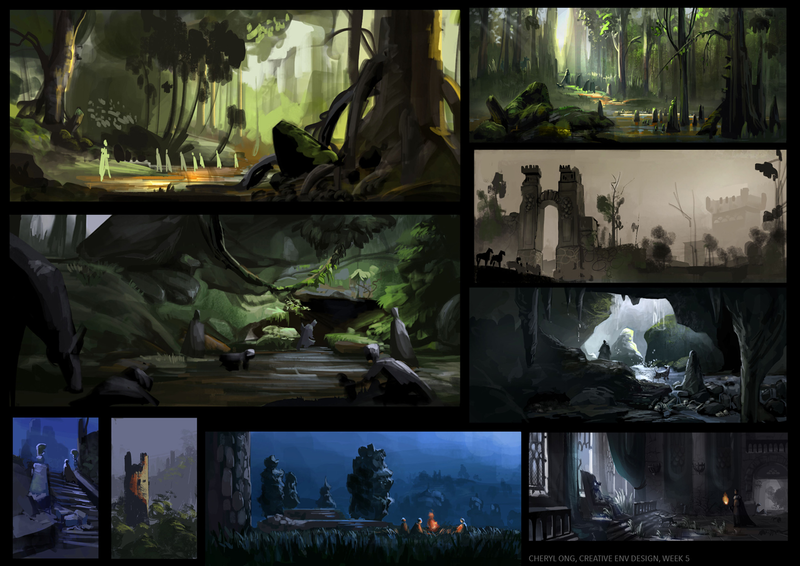 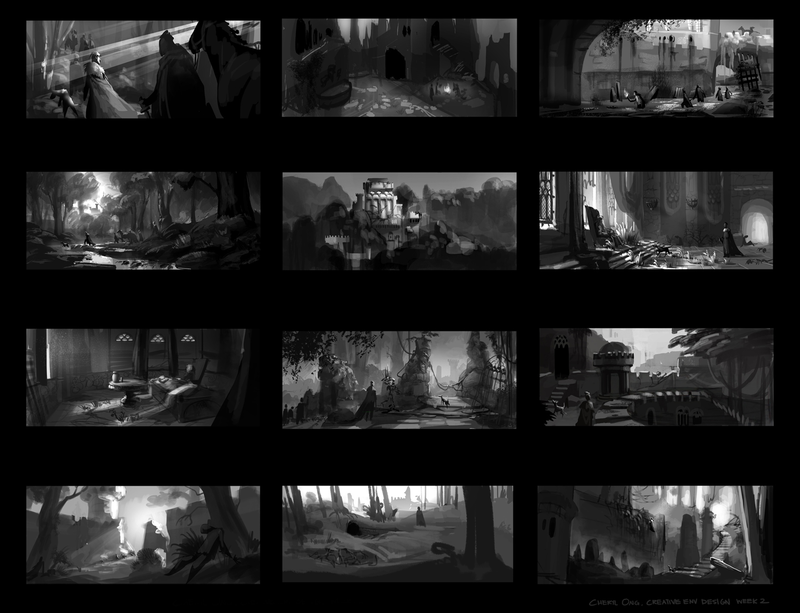 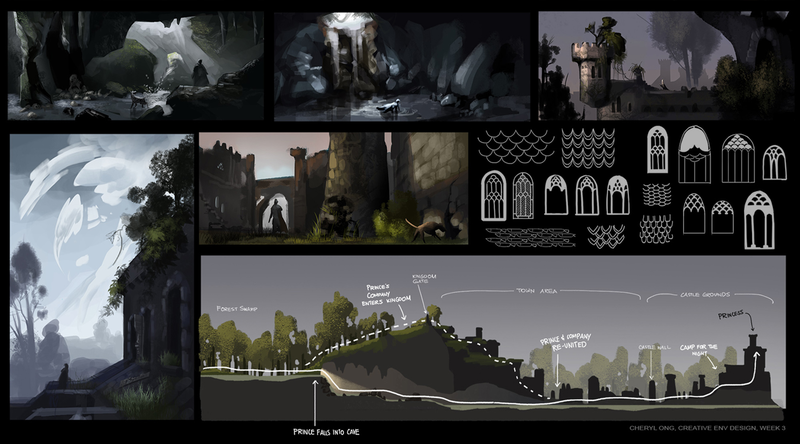 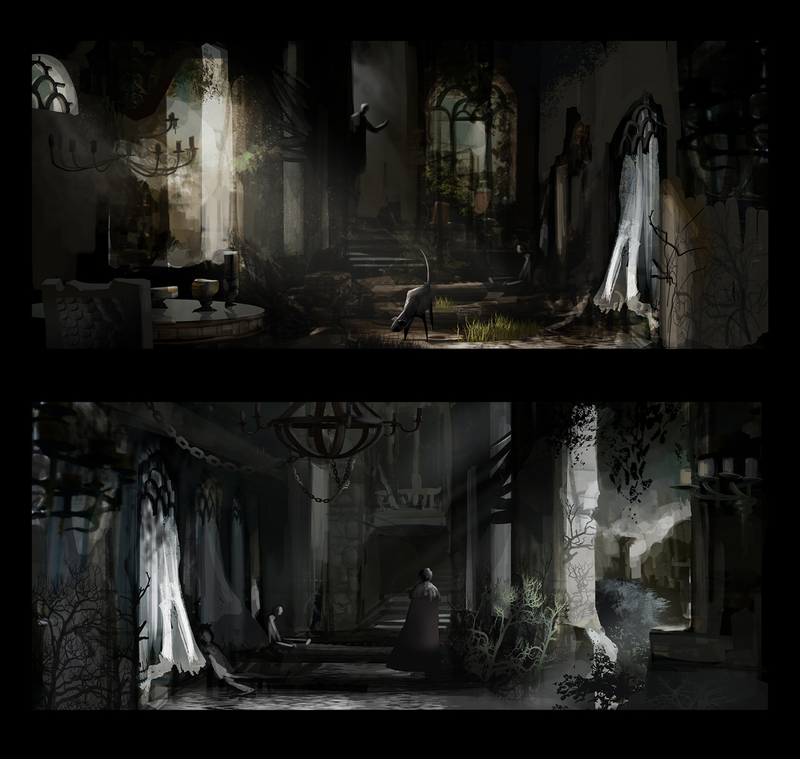 Some older work from Creative Environment Design with Jason Scheier, a class I took in summer last year. 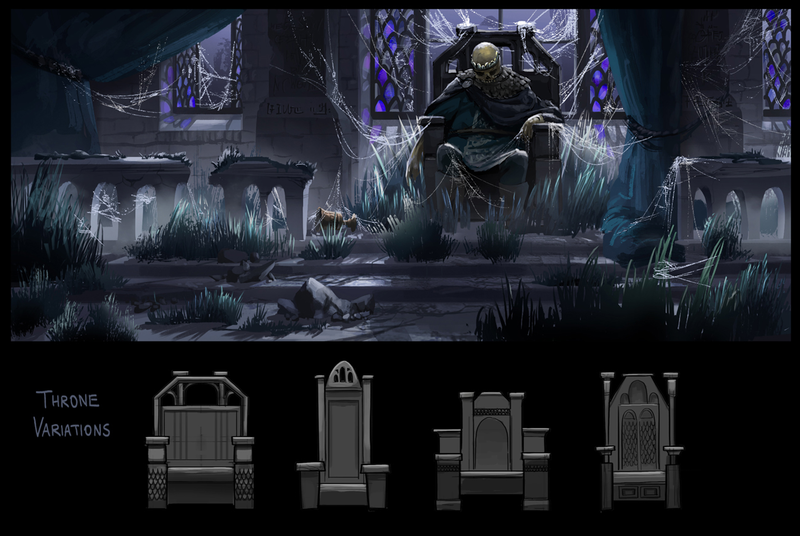 This is my take on classic Sleeping Beauty, sort of a darker Game of Thrones-ish version. 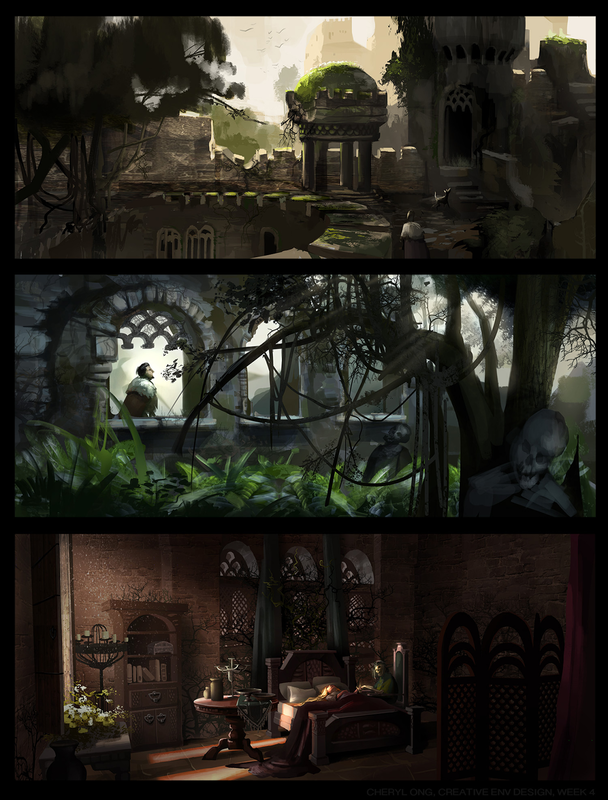 Below are some images from the development process, from thumbnailing to colour and lighting, and some experimentation with photo textures.